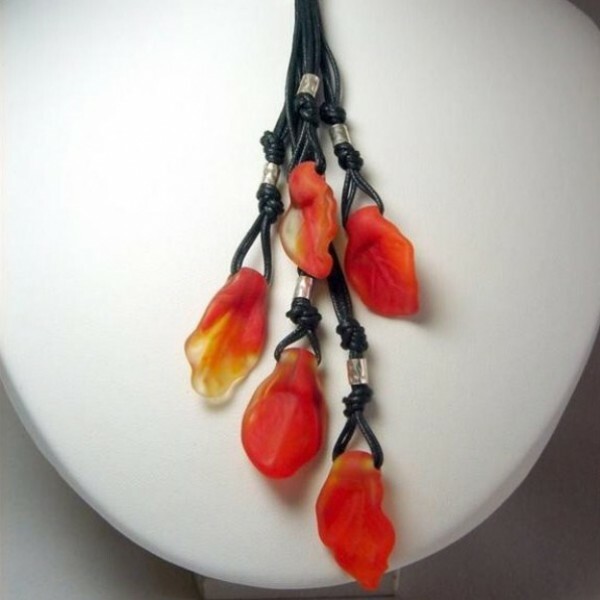 Striking necklace, a black and orange arrangement of fused glass leaves and silk cord. Add instant pizazz to your look with this fiery necklace. Black silk cords are joined at the front with 5 orange glass leaves dangling from them. An original by Israeli jewellery designer JanArt. In the field of costume jewelry Jana Sobelman has become recognized as an innovative and talented artist creating highly original and sought after designs.